We want to build you the home you’ve always dreamed of. The home that’s been coming together in your imagination for years. The backdrop of your future memories. And we want to build it well, at a price you can afford. This is the idea that has driven our work since 1957, and the reason we set our standards high. During construction, we use dependable building materials and implement a building process that features a number of checkpoints and inspections. And we offer an industry-leading 10-year limited warranty to give you peace of mind. We’re not satisfied until you feel your experience has been a 10. 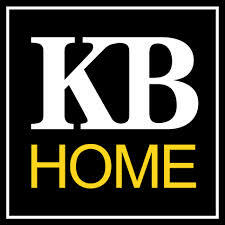 It’s all part of KB Home’s everyday commitment to providing quality homes and outstanding customer service. Our in-house team of more than 25 architects and home designers are dedicated to creating homes that are spacious, beautiful and innovative. Their designs are based on more than 50 years of experience, as well as feedback from homeowners near the community. They stay tuned in to what modern families need, such as open kitchens with plenty of space and master bedrooms that offer a retreat from hectic days. They also work closely with engineers to incorporate the latest building techniques and materials and meet our stringent quality standards. This means you get a well-built home that’s thoughtfully tailored to the way you live. Our Built to OrderTM process takes the mystery out of buying a new home and helps ensure quality construction. For each phase of construction, there is at least one quality checkpoint that must be passed before work can continue on your home. A quality home is built with quality components. We offer choices from the most trusted brands in the home-building industry so that you can take pride in every detail of your new home, outside and in. KB Home is committed to achieving its business goals by acting with integrity, high ethical standards and in compliance with the law. This is essential to building lasting relationships with our customers, business partners and investors that are based on trust. Our KB Home Ethics Policy is a guide for all KB Home employees to follow when facing questions of business ethics. Every year, all KB Home employees must be certified that they have read and understand the policy. We invite you to review our ethics policy.